The college faculty is a good one with well educated professors and lecturers.The faculty are understanding and masters in their subjects.Classes begin at 8:30 am and ends at 3:29 with 6 lectures per day (1 hour each).The course is vast and the method teachers apply to teach is great.The infrastructure of our college is really good and it is a well known fact that it is one of the best infrastructure among all the colleges in Jaipur. 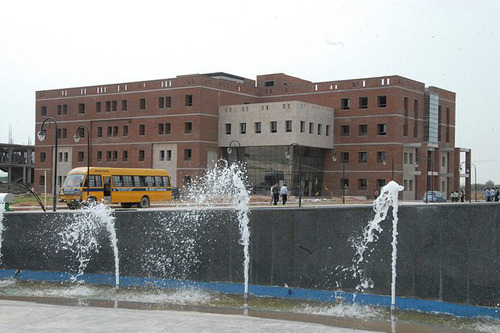 Infrastructure – JECRC University is a private branch opened by the jecrc college, Rajasthan. It has a good campus made of brick-stone architecture. It has widespread of a thirty-two-acre campus area with several buildings for the classes and workshops. It has in total three buildings for students of different branches. 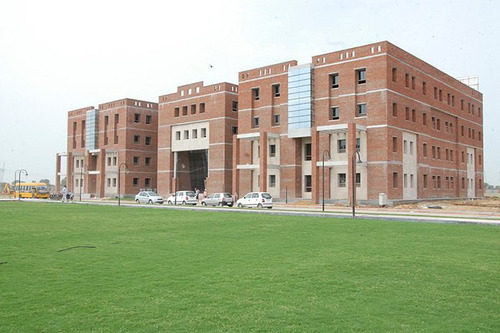 University has three boys hosel and one girl's hostel for the students and hosel has all the facilities required. 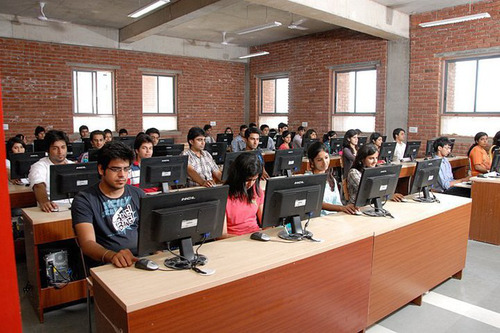 All the workshops and labs are available for the students such as physics lab, chemistry lab, basic workshop lab, graphics lab, computer lab and others. Classrooms are spacious with a capacity of 60-70 students, classrooms do not have projectors and have ducts. There is a different classroom equipped with projectors Placements – almost 80% students got placed last year with an average package of 3 LPA and highest of 8 LPA. Companies such as TCS, atani power, sony, icici, and HP came for the recruitments. Faculty – faculty is good and experienced and are very helpful to the students. One can contact them during college time and et their problems solved. 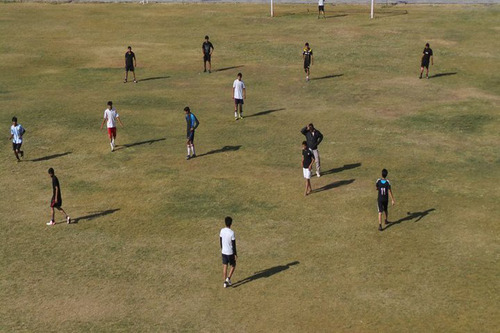 Recreational activities – college has a football ground, cricket ground, volleyball ground, basketball ground and other indoor game facilities for the students. 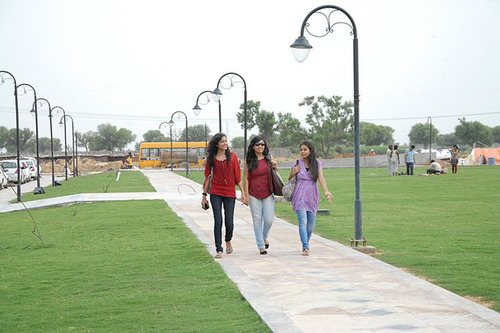 The college has many clubs for an overall development of the students. 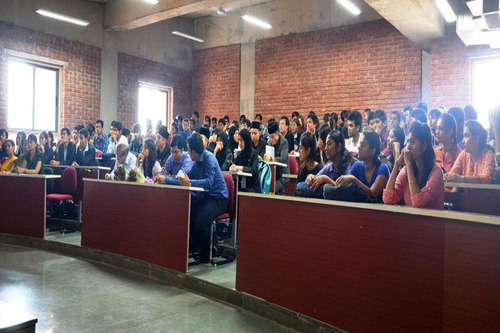 Student diversity – students here are mostly from Rajasthan, tonk, Jodhpur, niwai and Delhi. Students here are helpful and cooperative. Affordability – college is affordable and tries its best to maintain its position. Good infrastructure and good environment for studies. Placements : Placements are good enough. The packages given till now are 2.5/3/5/4/7 lakh per annum. I guess it's not enough but sufficient for the freshers to gain an experience in the technical field and then after an experience of 2 years, they can have a better income too. Infrastructure : Our college has a good infrastructure. We have well set up labs (for physics lab, we have a dark room in which we can perform the experiments of lights; chemistry lab; biology labs, etc. ), lecture room, computer facilities, Wi-Fi facilities for all, and a high-class library. Medical facilities are also good enough on the campus itself. The canteen is good as cleanliness is very good. The mode of serving is self-serving. Apart from this, we have a playground for cricket, football, volleyball and basketball too. Our college even has a team for cricket, American football (girls and boys teams and trainer for both). Faculty : Our college has good and very experienced faculty members. They have a good knowledge of the subjects and every field. We can ask him/her about our personal life problems too. They provide us good solutions. They are very frank in nature. Their teaching style is too good. If you study hard in the lecture period, u need not study that again and again at your home. Little understanding is more than enough. Other : At last, I can say that our college has a good environment for study as well as for games. Well experienced teachers, good infrastructure and everything that I want. The best part is the rooms of our hostel. They are well furnished, fully air conditioned with a personal TV between 3 members, means it's just like 3 BHK flats. Our college has one club named Zarurat which gives education to poor children who can't afford school fee. Free education is provided by our college staff and students. In this college, there are placements for students. In IT branch, the ratio of placements is above 65% and that's good enough. And so in other branches, the placement ratio is good. Companies like TCS, ACCENTURE and other companies are taking placements. The highest package of the college is worth 11 lakh and the average package is 3.5 lakh. 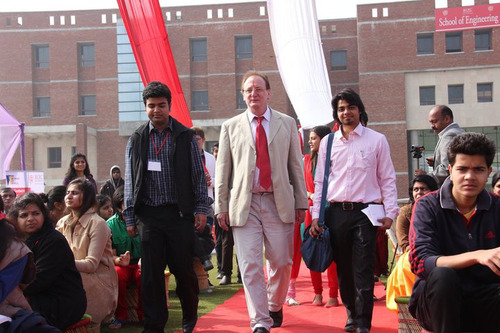 The faculty members are helpful to students and the ratio of faculty in the college is also good. They are highly qualified like PhD, M.Sc. and MBA. The teachers always give their personal experiences to students and motivate them. Knowledge is a must for teachers and here in my college, they have good knowledge about their streams. 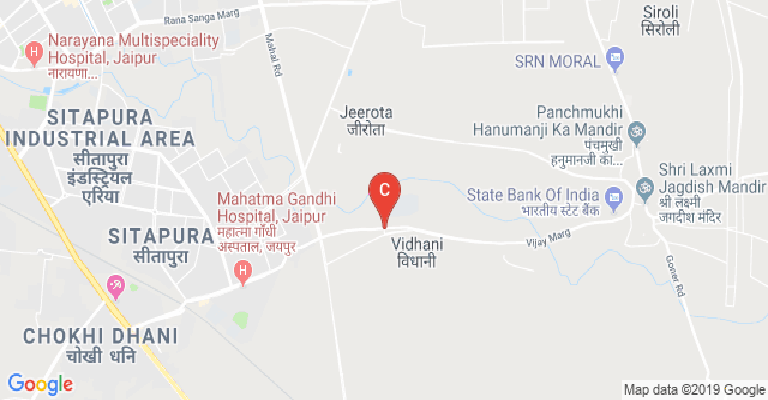 A Jaipur based engineering college affiliated to University of Rajasthan and a deemed university now is an state-of-art college for education seekers. JECRC is the best place for those who are interested in study along with sports. The faculty members are very helpful and too much skillful. Tutor system and whole management system is absolutely amazing. This is the only place where you can get a hike in sports with your studies and this is the only college which can improve your personality and communication skills. Boys Hostel :On-campus residential facility for students has been very thoughtfully designed and planned. Each unit in the JU Hostel Complex allows privacy and personal space to a student while giving a chance to dwell together and foster comradeship. An apartment style -three private, single occupancy rooms open into a common living room equipped with a television set, internet access and a pantry making it a complete independent unit. The hostels are air-conditioned, comfortable and conducive for the students to have a productive campus life, providing a perfect setting for academic pursuits. Girls Hostel :On-campus residential facility for students has been very thoughtfully designed and planned. Each unit in the JU Hostel Complex allows privacy and personal space to a student while giving a chance to dwell together and foster comradeship. An apartment style -three private, single occupancy rooms open into a common living room equipped with a television set, internet access and a pantry making it a complete independent unit. The hostels are air-conditioned, comfortable and conducive for the students to have a productive campus life, providing a perfect setting for academic pursuits. Medical/Hospital :The University has a first aid centre and has an arrangement with hospitals nearby. 24*7 JU ambulance is available to attend in case of emergency. Gym :The University has provided for sports enthusiastic a well equipped Gymnasium. Library :The JU Central Library is the academic lifeline of the University. The library is open for twelve hours a day and accommodates a large number of students in its reading and referencing halls. The University has gone ahead in making the concept of digital library functional with availability of digital content to enhance the first hand knowledge of the students. A good collection of reference and text-books and journals of national and international repute is available for the students. The library subscribes to both national and regional newspapers and magazines and journals for the benefit of students and general readers. The library, in addition to text book, caters for general reading and has a special section for books and journals for competitive examinations. The students have access to the online e-learning portal for integrated learning including NPTEL. 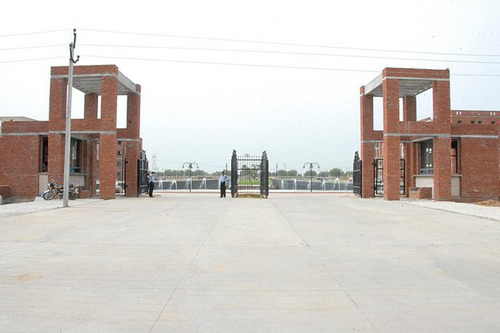 This facility is provided to all the faculty members and students of the University. 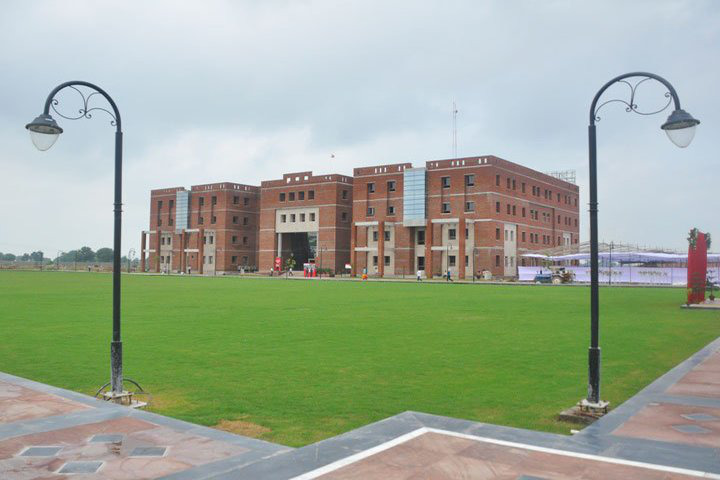 Sports :The University has provided for sports enthusiasts a well equipped Gymnasium, Football ground, Basket Ball court, Volley ball court, Badminton court and indoor facility for Table tennis. The University is a member of Association of Indian Universities and its teams participate in various national and international tournaments. The proposed Sports Complex planned at the campus will reverberate with energy and will inspire students to challenge themselves. Spread Over two floors the Complex will house indoor courts and zones for badminton, basketball, billiards and table-tennis besides a recreational area. Additionally, a half marathon swimming pool with a gymnasium, Jacuzzi and spa is also planned. I.T Infrastructure :JECRC University has some of the best computer labs, with the latest computing facilities and high speed internet connectivity. The University has 15 computer labs with over 500 computers and 25 MBPS 1:1 network. Also the University is under the initiative of NMEICT to connect technical education institutes through National Knowledge Network (NKN) with a high speed internet facility. The University systems works with an ERP Technology backbone. The entire campus network is connected with latest technology enabled servers and CISCO network equipments. The campus is Wifi enabled. Cafeteria :The double storied Students' Mess next to the hostel complex offers excellent multi-cuisine food to the campus residents. The centrally air-conditioned dining area is supported by Kitchen, Mess and cafeteria. The complex also envisages to house convenience stores to meet the daily needs of the residents. Alumni Associations :JECRC University Alumni Association is designed to foster Alumni Success and to embellish the alliance between the University and its Alumni. It encourages alumni’s personal & professional growth, and inspires them to achieve their philanthropic goals while working together to keep alive our motto “Build Your World”. Laboratories :A Computational Simulation and Enabling Technology Lab is being established at JU. Under this collaborative initiative the lab will equip JU students with expertise in latest simulation techniques. The CSET Lab will enable students to develop high-fidelity, high-performance computing (HPC) numerical simulation tools in the fields of fluid dynamics and building mechanics. A key tool in modern engineering, advanced computational simulation algorithms are used to solve problems in relevant fields.